Spray all parts completely. including the bore. 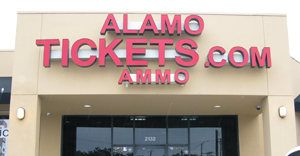 Alamo Ammo is local to San Antonio and will ship Sam and Daves 2 Instant Degreaser & Solvent Remover 1 Can within the US. Local Ammo Sales can be picked up at the office and get great discounts on Sam and Daves 2 Instant Degreaser & Solvent Remover 1 Can as well as saving on shipping.